Austrian singer Conchita Wurst has likened herself to ‘Hulk Hogan’ after dying her hair platinum. 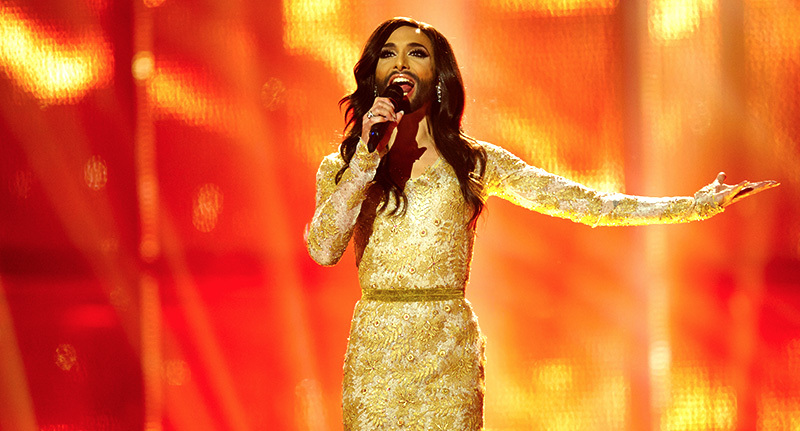 Conchita – real name Thomas Neuwirth – rose to fame after winning the 2014 Eurovision Song Contest for Austria with the song, Rise Like a Phoenix. Having had long, dark hair for some time now, this new, blonde transformation is rather drastic, but rather fabulous. The 29-year-old, who was recently a guest at the 25th annual Life Ball – which raises funds for HIV and AIDs projects – showed off the new look on Instagram. The post has had more than 27,000 likes, with fans branding her the ‘queen of fabulous’. 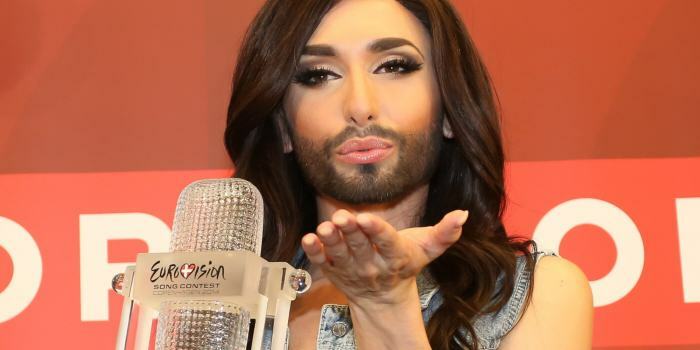 In April, Conchita was forced to reveal she was HIV-positive, telling the media and her fans she had intended to keep it private, but an ex-boyfriend had ‘threatened to go public’. Today is the day to free me from the sword of Damocles for the rest of my life: I have been HIV-positive for many years. This is actually irrelevant to the public, but an ex-boyfriend threatens me to go public with this private information, and I will not give anyone the right to frighten me and influence my life in the future. Since I received the diagnosis, I am in medical treatment, and for many years without interruption under the detection limit, so that so not able to pass on the virus. I did not want to go public with it for a couple of reasons so far, I just want to mention two of them here: the most important one was my family, which has known and supported me unconditionally since day one. I would have gladly spared you the attention of the HIV status of your son, grandson and brother. Likewise, my friends have been aware of this for quite some time and deal with it in an unbiased way that I would like to wish for everyone and everyone concerned. Secondly, it is an information that I believe is mainly relevant to those people with whom sexual contact is an option. Coming out is better than being outed by third. I hope to build up courage and take another step against the stigmatisation of people who have become infected by HIV, either through their own behaviour or through no fault of their own. Conchita performed a number of hits including Big Spender and Son Of A Preacher Man, alongside a 60-piece BBC Concert Orchestra at the London Palladium just last month. Everything went so well, all over. There was no huge fail. I’m still so excited and buzzing about it. That’s a really new feeling to me because normally, when I walk off stage, I’m never pleased with myself. I mean, I would really rip myself apart and destroy the whole vibe. I feel I need to prove myself each and every time [because] I’m a drag act. It’s easy to say, ‘This is just a joke.’ You know, the bearded lady? And I feel the need to smash it with every performance just because I want to be clear this is not a joke.